We would like to sincerely thank the fan community for the awesome feedback on Open Beta of Euro Truck Simulator 2 version 1.26. We have received a lot of valuable input on the new content and tons of reports for little things that we would have almost missed but that were fixed thanks to you. We are now ready to make the 1.26 Update live for everyone. The game will actually update itself automatically on Steam. The legacy non-Steam edition of the game will have the update ready for download in a couple of days. If you participated in the Open Beta on Steam, please don’t forget to switch back to the non-beta branch in ETS2 properties. We have already covered the changes and improvements coming with this update extensively, in the post annoucing the Open Beta, but let’s review them again so that you have all the news in one scoop. The main star of this map refresh is the city of Paris, which actually has been completely rebuilt to make it way more elaborate than before! We have re-touched the existing region of northern France in the base game. It’s not a total rework from scratch, but we believe that you will appreciate some very visible changes in the world; new models, new intersections and use of higher resolution textures in many places. We have adjusted and added some new options for the transmissions of all the trucks tractors in the game, so now there are more options to choose – from the standard or overdrive style of transmissions or even the Allison 4500. We hope that especially the players who care for more choices and precision of the vehicle simulation will appreciate the new adjustment, now there are new opportunities to play with the ratio between engine and wheels. A new search line was added into the game’s upgrade shop and truck browser screens, so now you will be able to look up for example a specific paintjob or a particular engine upgrade. This new feature will come handy if you own a lot of our minor DLCs or if you happen to have lots of truck tuning mods installed. You can follow this link to see the whole changelog of this update. Please also check out our modding wiki to get the best advice for modding the game. Hey All, this is Flavien. Keith ran into trouble with his computer yesterday ( it’s having difficulties booting up apparently ) so I’ll be in charge of this weekly update. Keith has been making good progress on the new Vulkan renderer and abstractions. He can almost render a.. triangle. No kidding. Interestingly, to be able to render just a single triangle in Vulkan requires pretty much all systems to be functional, so although it might not look like it, it’s a huge step forward ! We still have to experiment with shaders though. If you remember the thread about Vulkan versus DirectX12 on our forums a few months ago, we had expressed some doubts about the built-in Vulkan shader compiler, as it doesn’t seem to perform any advanced shader code optmization. Now that the fundation is there, we will soon be able to figure that out and determine whether shader performance is acceptable or not. If it’s not, we can still 1) wait for the compiler to mature ( which hopefully should happen by the time the game is released ) or 2) later on, switch to DirectX 12 while maintening a fall back on to DirectX 11 for Windows 7+. On my side, I’m working on our new entity-component system ( ECS ) and refactoring the client / server ( including networking improvements ). It’s taking a while, but that was expected. ECS will allow us to utilize more agressive multithreading including for gameplay logic ( in the current build, gameplay logic is single threaded with a couple of independent systems such as sounds, networking or physics running in separate threads ). The client / server refactoring is also a very important step because it allows us to introduce some major concepts for the future game, such as a form of database persistency ( if the server crashes, we don’t want players to lose their progression and the state of the match / battles that were running ) or a replay feature ( still experimental, so I can’t promise it for the final game, but that’s definitely something we want to do ), and even the basics of modding ( through C/C++/C# custom DLLs ). So as you can imagine, this new version is a major milestone in the project, and will also introduce a bunch of new gameplay concepts ( such as team-based gameplay/spawning, credits, etc.. ). There’s currently no ETA for that new version, but I can safely say it won’t happen until next year. Meanwhile, we’re still going to release a bunch of content patchs for the current build with art assets improvements or experiments ( like for the interceptor cockpit’s bar, which according to a poll on our forums, most people would like to see removed.. ). Dan has moved on to working on.. space station windows. They’re very important because they’re the #1 best way to give a sense of scale to things in space. So we’re trying to make the windows as varied as possible to avoid patterns, and include some additional man-scale details here & there, like docking doors. We’re planning on making the windows layout unique per station, so even if two stations are reusing the same modules, they’ll still look slightly different with their windows on. “Bi-articulated Bus AGG 300 – the upcoming OMSI 2 add-on just got its official trailer. Have a first look at the 80-ft Van Hool with all its functions! The add-on will also contain original paint-schemes and a bonus vehicle. We’re ready to let everyone know when you will be able to hop into your trucks and start exploring the roads of beautiful France! 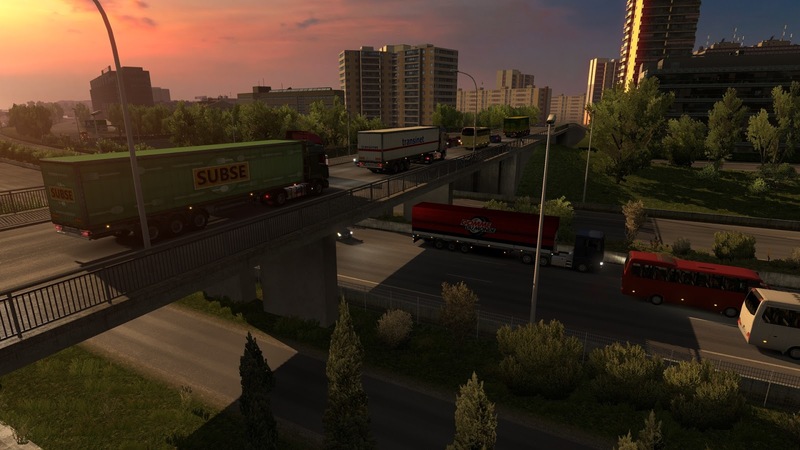 “Vive La France !” map expansion for Euro Truck Simulator 2 is going to be released December 5, 2016. To be more specific, we are aiming at 4 pm Prague time (GMT+1) on Monday, that’s when the activation keys should be enabled and the DLC will be ready for download and purchase. We are going to price it the same as Scandinavia map add-on on the channels that are under our control (like Steam – here is the “Vive la France !” coming soon page). There may be small price and timing differences on local markets, in retail, or at places like Amazon, where we do not have the power to enforce strict pricing policy. Everything is happening very quickly, we were still not sure about the final date a week ago, as we have been thoroughly testing and polishing the DLC pretty much until today. Now we want to give you a chance to play the expanded game as soon as possible. A week of preparations is sufficient to arrange the release on digital channels, but our retail publishing partners will be struggling with manufacturing deadlines, so some sales channels may take longer to stock the add-on. We’re pleased to announce the release of a new update for Farming Simulator 17! Thanks for your feedback since release – keep them coming! We read and analyze them to iron out the game as much as possible. Added separate music volume slider to settings. Added option for mod map updates to invalidate savegame cache files (e.g. tip collision map). Fixed field of view setting (90° was very distorted). Fixed Sosnovka bunker silos collision with chaff. Fixed error when loading some savegames (Callstack setMass invalid Entity). Fixed error when creating a map mod from Goldcrest Valley. Fixed unloading to BGA bunker using conveyor belts. Fixed fertilizer missions being repeated many times. Changed Jenz HE700 income category to wood. Fixed pig tutorial cleaning (not enough space in trough). Fixed toggling vehicle configurations with different collisions. Fixed error with wool pallets in multiplayer. Fixed crash when loading old savegames (from version 1.1). – Improved Porsche 917/30 physics with more accurate data from homologation papers. Dear friends! We are glad to announce the release of update for alpha version of Escape From Tarkov, in which we introduce to you online mode of the game, the new graphic components, weapon mastering leveling, ammo-dependent weapon wear rates, and much more! – Network play in test mode. Join the alpha testers of Escape From Tarkov now! – сетевой режим в режиме тестирования. – пистолеты-пулеметы ПП-91 “Кедр”, ПП-91-01 “Кедр-Б”, ПП-9 “Клин”. Работа продолжается! Вступайте в ряды альфа-тестеров Escape From Tarkov! Участвуйте в конкурсах эмиссаров и получайте ключи доступа в альфу! Automobilista: v1.1.5 & IMOLA RELEASED! Automobilista v1.15 is now released! With it our second DLC for AMS, as IMOLA is now also available for purchase here. If you are interested in the other upcoming Automobilista DLCs however it is strongly recommended you check the AMS “Season Pass” for all upcoming DLCs (for those that already have the base game) and the bundle of AMS Base + Season Pass (including the base game). OBS: Steam Achievements is being phased in over the next couple of weeks. You may notice some basic Achievements popping up in the meantime. OBS3: If you have an online race tonight, you can stick to or revert to the previous v1.1.1 by selecting that branch . Further instructions as to how to do that here. OBS4: V1.1.5 AMS Dedicated tool is being uploaded and will be available later tonight. Servers may use AMS Dedi from the main game in the meantime. For any difficulties related to installing, running or setting up the game, please refer to USER MANUAL present as a launch option from Steam If you need further assistance please post it inV1.0 troubleshooting topic or email support@reizastudios.com (please allow for up to 1 business day for a reply). – Added new content for upcoming releases and competitions. – Unified Experiences and moved some of the experience specific settings to R3E. 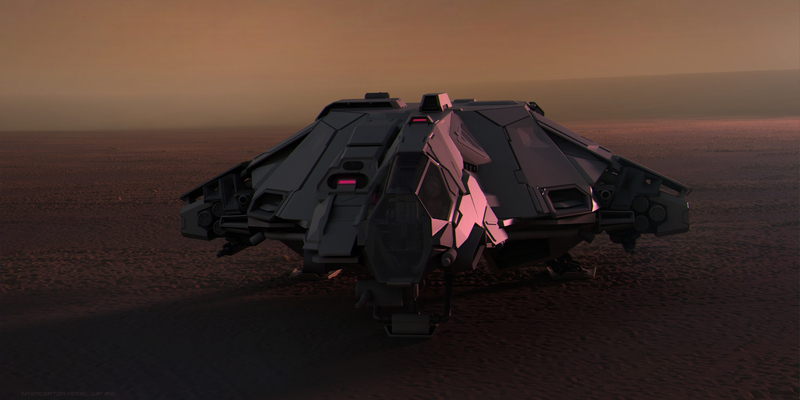 – Added “Depth of Field” visual effect. Active in TV cameras, Hood camera, Action cameras and Free Camera. CTRL-M enables a simple UI to adjust the blurring effects and focus position. – Shared Memory API overhaul, added various additional data and potential for backward compatibility starting this patch. – Added support for SimXperience Accuforce steering wheel. – Extended freedom of movement for the freecam and added two modes for it: “Attached to the car position and its rotation” and “Attached to the car position only”. Pressing the key bound to free cam will cycle through the three modes. – When under a slow-down penalty, collisions with the car are disabled. – When under a slow-down penalty, the amount of speed the player is still allowed to carry has been increased, but keep in mind you will be giving back any time gained at a slower rate by driving faster. – Fixed an issue where the ghost car was producing audio while waiting for the player’s car at the S/F line. – Fixed so compact data display shows fuel in gallons if mph/imperial units are selected. – Fixed replays missing the first 60 seconds of a race by pausing replay recording during garage phase. – Re-enabled hud during garage phase while waiting on the grid. – Changed position bar so it doesn’t display information during garage phase. – Fixed the issue where you would get disqualified immediately after the lights in hillclimb tracks. – Fixed using arrow keys for increase/decrease in pit menu going through settings very fast. – Fixed a crash that was occurring when leaving a Hillclimb session after finishing a run. – Ensured that certain reset commands are sent to DirectInput devices when effects are disabled. – Changed “off” steerForceVibe period to be 2000000. – Increased maximum execution time for all communications from 30 seconds to a minute or higher. – Disabled FFB when reaching the spring based lock if it’s active. – Cleaned up the ffb code a bit while fixing the above issue. Removed mimic code and made sure all ffb effects are turned off during AI control. – Fixed game crashing while navigating in the portal while in a competition session. – Fixed an issue with damage when downshifting without clutch. – Disabled foreground window lock when playing fullscreen. – Disabled game minimizing when losing focus. – Fixed game crashing/freezing when pressing pit request button while no audio device is connected. – Changed throttle pedal zero magnitude and vibe slope default values to 0. – Added 2 race format and reversed grids. – The netcode is now IPv6 compatible. – Removed some unused functions from netcode that were somehow triggering crashes for some players. – Potentially fixed an issue where cars not within Peer to Peer range would become invisible. – We now allow duplicate server names to avoid admins not being able to access their settings if a condition such as their IP changes. (Also means we no longer have to remove their names from the associated server list manually). – Added so the associated server list clears names that have been inactive for 30 days. – Removed the gridwalk camera phase since it’s irrelevant with the introduction of garage phase. – Fixed issue with xinput controllers ending up in an unusable state after disconnect/reconnect/usb port switch etc. – Fixed issue with opponent cars briefly disappearing during starting light phase. – Significant AI logic improvements. 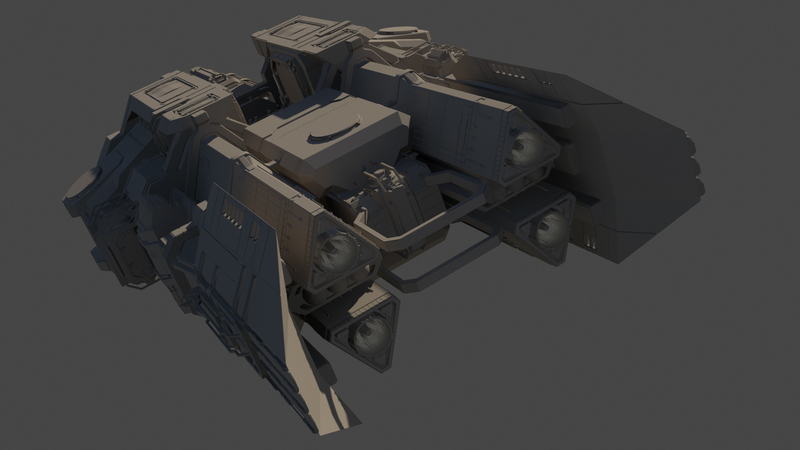 – Added punctures to the tire model. Past the lowest possible wear value, tires have a chance to puncture. – It is now impossible to disable autoclutch aid on sequential gearbox’d cars. – DRS allowance is now 3 activations per lap with a gap detection of 1 second at the S/F line. – Push 2 Pass is now disabled in qualifying and competitions to comply with the changes made in 2016 to the Audi Sport TT Cup official rules and regulations. – Downshifting without clutch on a H-Pattern gearbox now properly damages the gearbox. – BMW M1 Procar : Better standing starts for AI, made AI less easily roll up on curbs. – DTM : DRS adjustment to previous seasons so they also benefit from DRS aerodynamics improvements. – Ford Mustang GTO : Coast revs sounds adjustments in cockpit. – Audi TT cup : adjustment to the invisible collision box of the car, size adjustment of the drop shadow area under the car. – Oschersleben : Updates of the 3D curbs, slight tweaks to camber and elevation in certain areas, reduced some nasty bumps on the track surface. – Nuerburgring : Distance markers for the chicane are now visible, various bug fixes. – Spa-Francorchamps : Fixed various bugs, added one advertisement location at La Source. – Zandvoort : Made the exit curb at turn 4 (Hugenholtzbocht) 20 meters longer. – Revamped Portal Store with new theme and new structure. – Fixed some issues with certain special characters causing issues in initial username on new accounts. – Implemented Essential Packs and Car Class Packs.